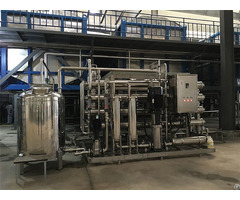 Tri-effect evaporation plant with thermal vapour re-compressor has specific steam consumption 27%, which is better than 34% of tri-effect evaporator. 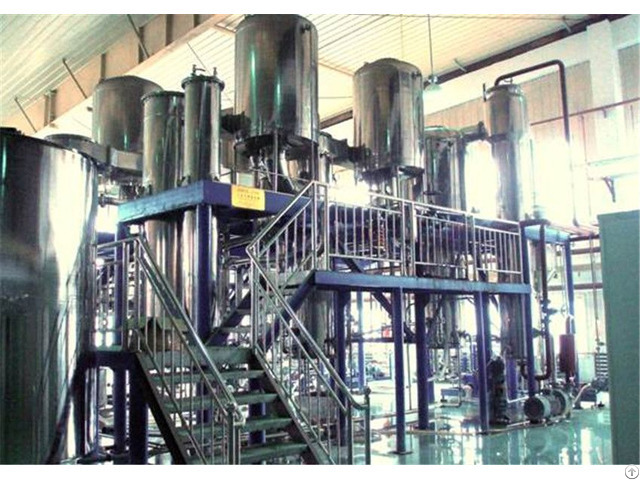 It is equivalent to four-effect evaporator. It is high heat efficiency and save energy. 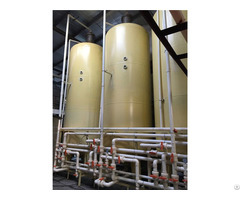 The product auto-fast flow by pressure of system without pump, a very gentle treatment by the low temperature and short residence ensure the top quality gelatin. The system is on auto-operating running. 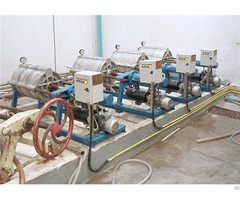 Sanitary grade pipeline attaches CIP cleaning system. The equipment is made of stainless steel and polished. The equipment is made of stainless steel and polished. We have professional engineers who have accumulated rich experience in gelatin production, with in-depth experience in manufacture of gelatin equipment. We have attained an outstanding position in supplying reliable advanced equipment for gelatin industry.Up to now, company has obtained 8 national patents, 1 of them is national invention patent, and authorized by Chinese Government as High-New Technical Enterprise. The equipment have been exported to India, Australia, Thailand、Malaysia and Egypt. Our customers come from all over China, as well as the famous gelatin company of the world, such as Gelita (Germany), Russelot (America), Sterling (India), Gelic (Japan), PB (Belgium), etc.